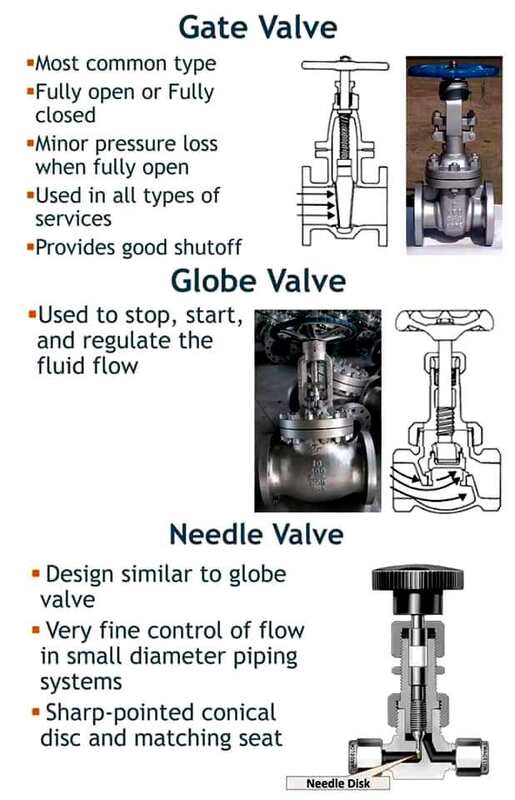 A valve is a standardized device that controls the flow and force of fluid within a system or Process. 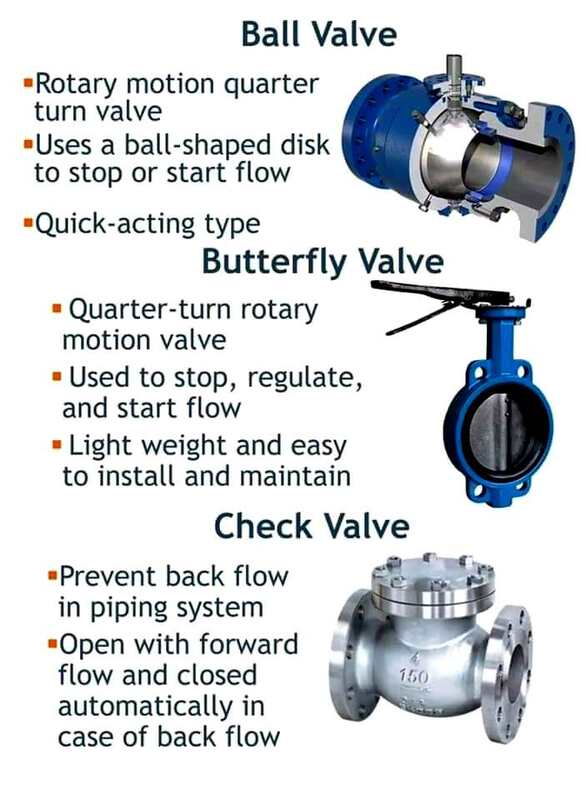 In industrial applications, different types of valves are used. Valve casting industries do the casting of different types of valves. 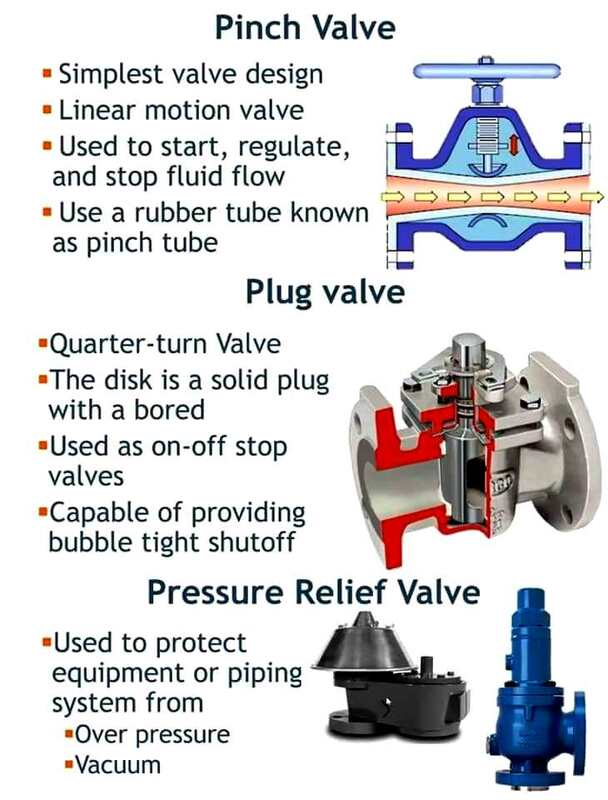 Let’s see different types of valves. Various types of valves are required in any piping system in order to regulate the fluid flow within that system. Valves can be manually operated or they can have an actuator to change and control the valve opening. The actuator may be pneumatically, hydraulically, or electrically operated. The valves represent a considerable percentage of the overall expenditure of the chemical process industry and, therefore, must be carefully selected. It is imperative that process piping engineer should be familiar with all types of valves and the advent of any new designs. Thorough knowledge of the operation, maintenance, and adjustment of valves is equally important since the success of the process plant and its total activity will depend on it.